Today’s marketing world is filled with ideas, options, push-the-envelope-ideas, more-creative-than-the-other-guy campaigns. So what’s the right marketing concept for your organization? Let’s define first: What’s a marketing concept? The marketing concept is the philosophy that firms should analyze the needs of their customers and then make decisions to satisfy those needs, better than the competition. What philosophy should guide a company marketing and selling efforts? What relative weights should be given to the interests of the organization, the customers, and society? These interests often clash, however, an organization’s marketing and selling activities should be carried out under a well-thought-out philosophy of efficiency, effectiveness, and social responsibility. But not all businesses approach the need to market their goods and services the same way. In fact, there are a few different approaches to how marketing can be successful for an organization. These approaches are called marketing concepts, or a philosophy that determines what type of marketing tools are used by a company. Marketing concepts are driven by a clear objective that takes into account cost efficiency, social responsibilities, and effectiveness within a particular market. 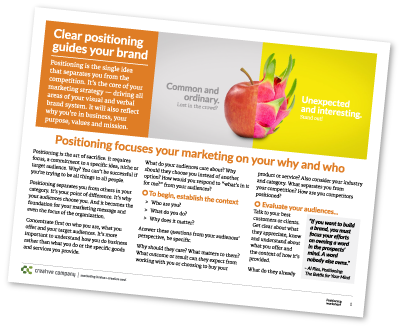 What factors guide the marketing concept you’ll choose? As you can see in the last quote, first there’s a clear objective, one you can reach within a given budget. Then you’ll be effective within your particular market. This starts to narrow things down a bit. What are we trying to accomplish? Go beyond “sell stuff” to the outcomes your audiences expect when they buy what you offer. Do you want customers for life? Are you building a relationship? Who are the best potential buyers for what we offer? Often this is multiple audiences. A college must reach both potential students and their parents. A B2B company selling industrial products has to connect with an engineer or specifier, a purchasing manager and possibly other users. Why do those people want what we offer? Most people won’t buy until there is a reason, a trigger, to start looking for a solution to a problem. This “trigger” will also guide how and where you communicate. What do people need to know to make a decision? Some products or services need a lot of education to understand how to buy or specify. Others are quicker, even impulse buys. But even that wonderful cookie can inspire an impulse buy with strong imagery and an enticing message. What makes our offer different, better or unique? Often companies present a long list of features … look at everything my thing does, don’t you want to buy it now? Yet your audiences want to know if it will give them the result they’re looking for. Remember, they’re not buying a drill, they’re buying the hole it makes. Where are our audiences looking? The answer to this question is essential. It will guide which media and communication channels you choose. Remember the old adage, fish where the fish are. Your marketing concept must be framed around the answers to these questions. Understand what people are buying, not just what you’re selling. Know who those people are and what triggers their search. Realize where those people will find you and see your message. Frame your brand and message around what makes your offer different, better and unique. Do these things and you’ll have a marketing concept set for success. Different industries and categories will have their own answers to these questions. Look at what has worked in the past to reach your audiences. Do interviews. Get clear about what people are looking for and what they’re buying. It really is about your audiences. Use our audience definition worksheet to begin the process. Talk with customer service people. Talk to sales people. Find out what’s being said. Summarize the frequently asked questions. And decide how you’re unique and different … from your audience’s point of view. Talk to us if you would like some help. Visit our website to see samples of successful marketing concepts. Learn more about the importance of your audiences and your points of choice in these blog posts. What is a point of choice? Market where your audiences choose to take action. 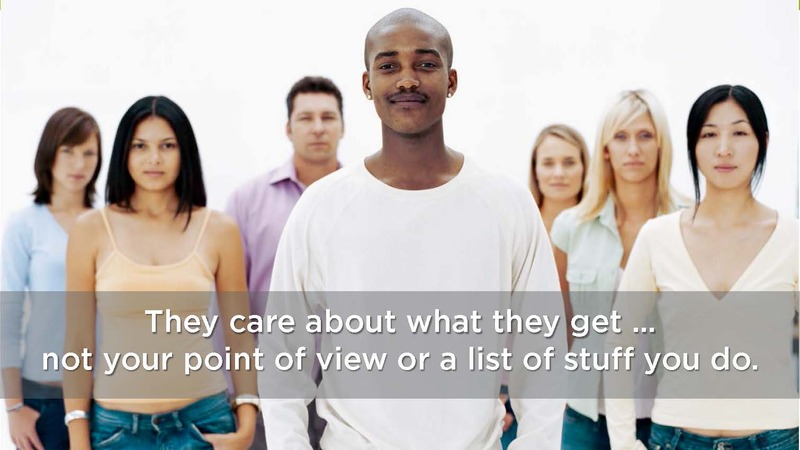 Audiences don’t care about the list of stuff you offer. What do they care about? Packaging design is a critical point of choice. What works? Ideas to improve your marketing response, messaging is critical. At first kindly thanks for this great article. The company where i work is new in industry of Forex and i decide to make some creative Display ads in forums but i don’t know how to choose concept, because i haven’t enough experience. If it’s possible please give some ideas about concept. Hi … thanks for your feedback! Your concept must always start with the people you’re trying to reach, who is the best audience? What are they looking for that you provide? What problem do you solve or what result can they achieve? The idea must connect with them how and where they’re looking. The old staying “they’re not buying a drill, they’re buying the hole it makes” gives you a place to start. Good luck!